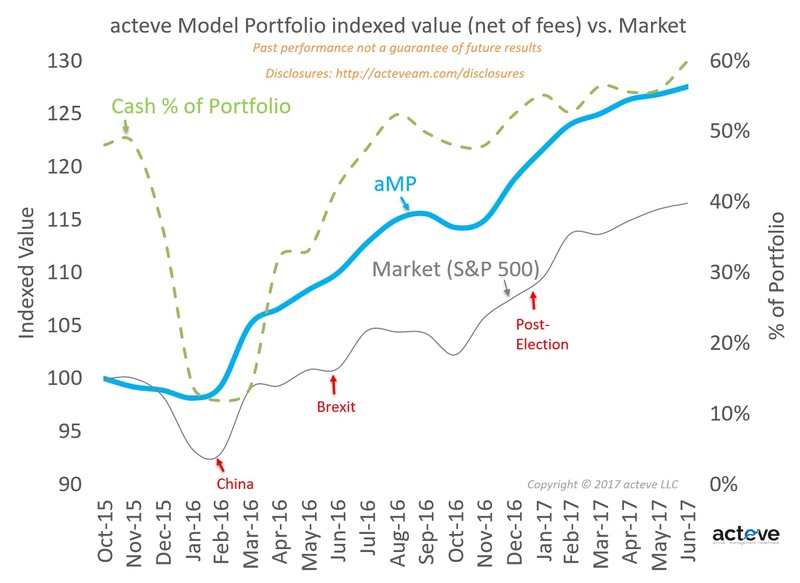 The chart shows acteve Model Portfolio (aMP) indexed value (net of fees) vs. the S&P 500 market index (indexed to 10/31/15), as of 6/30/17. The chart also shows the cash allocation in the portfolio. As of 6/30/17, more than 50% of aMP assets were held in cash, given my view that the market environment was generally overvalued. 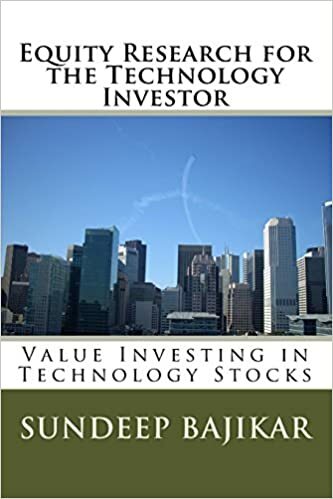 Performance data are shared consistent with acteve’s philosophy of delivering superior transparency. Fees are deducted at the maximum annual rate of 1% at the end of each calendar quarter in arrears, based on quarter ending account value. Accordingly, the chart reflects withdrawal of fees on 12/31/15, 3/31/16, 6/30/16, 9/30/16, 12/31/16, 3/31/17 and 6/30/17 for the three-month periods ending on those dates respectively.